Enter to Win the Ultimate Holiday Entertaining Sweepstakes! Company is coming! Are you ready? We’ve partnered with five food and entertaining brands, including America’s Test Kitchen, Emile Henry, D’Artagnan, Zwilling J.A. Henckels and TASTE so you can celebrate the holidays in style. 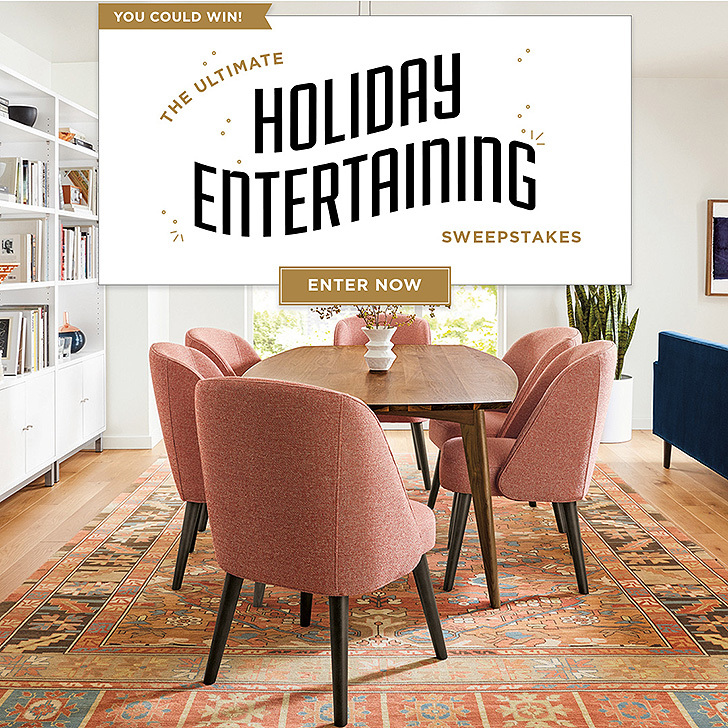 Enter today and you could win the holiday sweepstakes: $10,000 grand prize including our Ventura dining table, six Cora dining chairs, more than $4,000 in entertaining essentials and $2,000 cash to help you throw the ultimate holiday party.